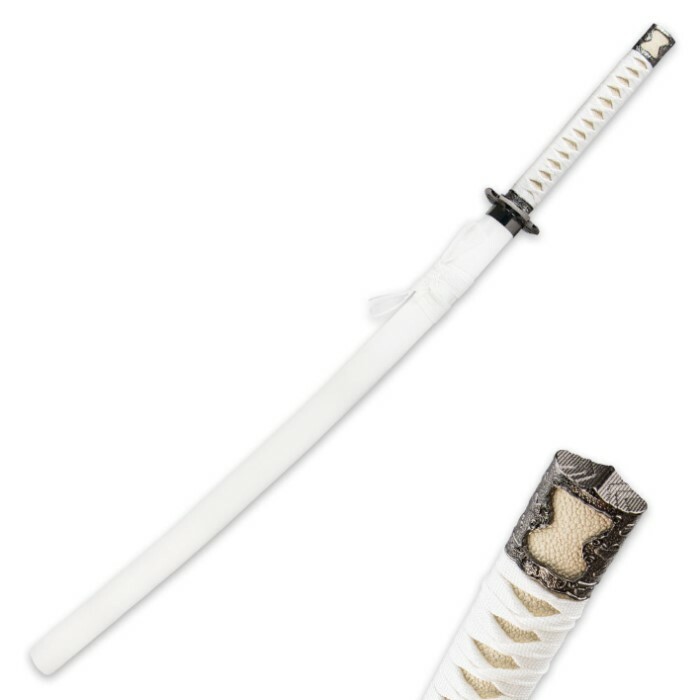 40 Inch Ninja Sword With White Scabbard | BUDK.com - Knives & Swords At The Lowest Prices! 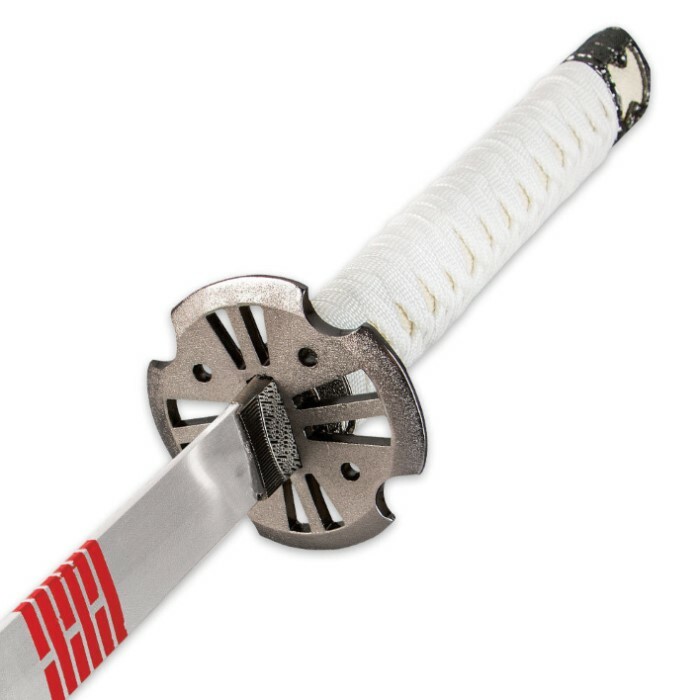 Battle evil with the pure white Ninja Sword. Remeber the good guys always wear white. 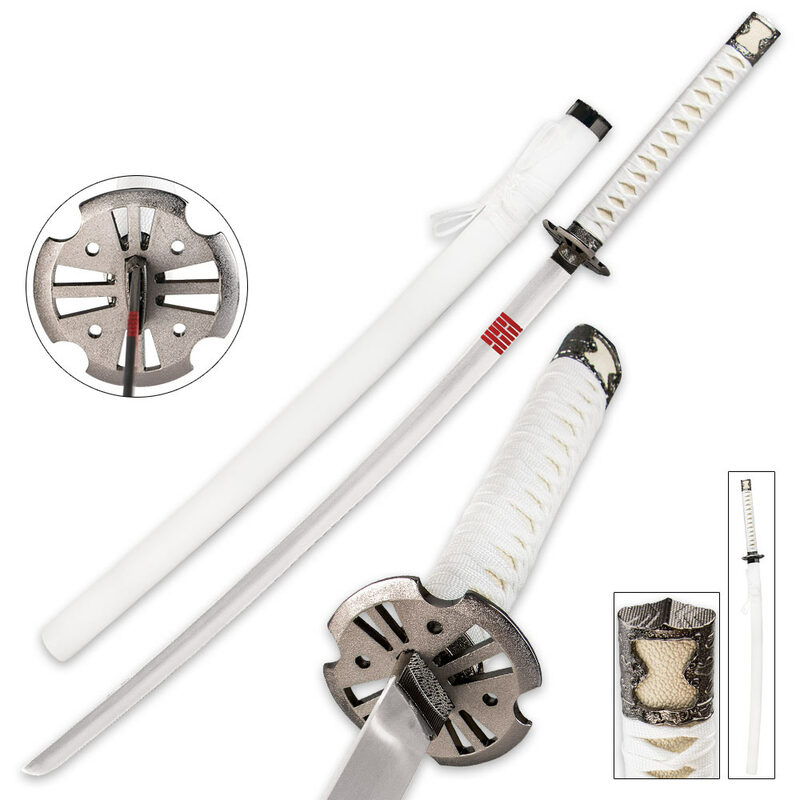 This katana sword features a 27-3/4" carbon steel blade. The blade is complete with red accent markings. The handle is traditionally wrapped with white cord. A matching white wooden scabbard with cord accents is included to house the blade. Good pick up for the collector of different colored swords. This swords blade isn't that wide but what it doesn't have in width it makes up for in solid construction. Pommel and handle are put to get well, hand guard is a very unique design compared to other katana-ish swords and the scabbard is a textured white plastic that holds the blade snug when sheathed. The red accents on the blade are really unnecessary but just think of it as an added bonus.